The project is named "Al Araimi Boulevard" and is in Al Khoudh district in the center of the capital Muscat. The shopping center has been designed as a two-story building with an area of 147,200 square meters. Construction is underway at the mall and is expected to be completed by September 2018. The mall will comprise the largest dining hall and largest glass dome ever in Oman. The complex will provide a commercial area of 70,500 sq m. It is expected to provide a much-required new retail lifestyle shopping in Muscat city. The project's scope of work consists of a 2-storey mall located at Al Khoudh, Oman. The mall offering 6,000 square meters entertainment area dedicated to both education and amusement, with a large interactive learning area, sitting alongside space for live shows and exciting performances. The mall also features a 10-screen cinema complex complete with 4DX cinema screens, a 1-hectare hypermarket, 14 outdoor restaurants, and five individual VIP glass-walled fine-dinning spaces. 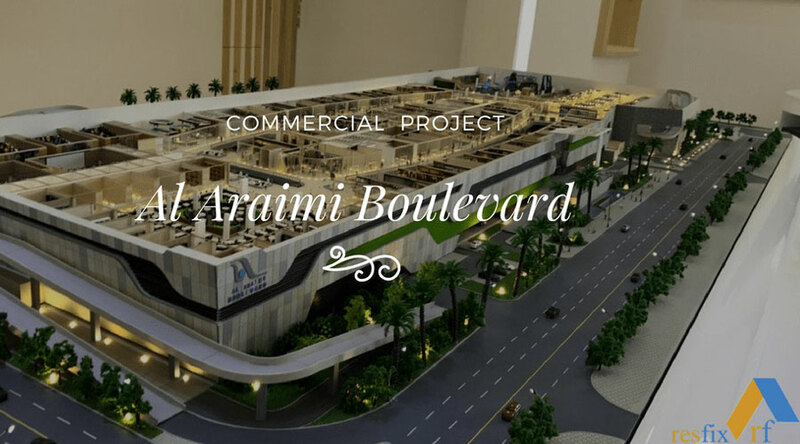 Al Araimi Boulevard will also include Oman’s largest food court, a 1,200-seat dining hall with 20 food and beverage outlets. The new mall will have 3,000 parking bays, which will make use of a smartphone app that assists in finding a parking spot that will allow visitors to secure parking spaces in advance of their trip. Contracting firm, Unique Contracting Company, has been awarded the main construction contract. Construction on the mall has begun with completion expected by September 2018.